We are counted as the most renowned manufacturer & supplier of PVC shroud which provide additional protection and enhance IP rating of the Gland Termination. These also provide effective solution to weather and corrosion protection of a cable gland. We offer these products at cost effective price. We are involved in manufacturing & supplying a broad range of PVC shroud which is made of high graded polyvinyl chloride materials. These are well known as they provide extra protection and enhance the IP rating of the gland termination. Our products are highly reliable and can be easily used. 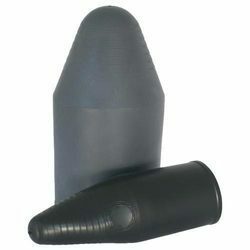 Looking for PVC Shroud ?